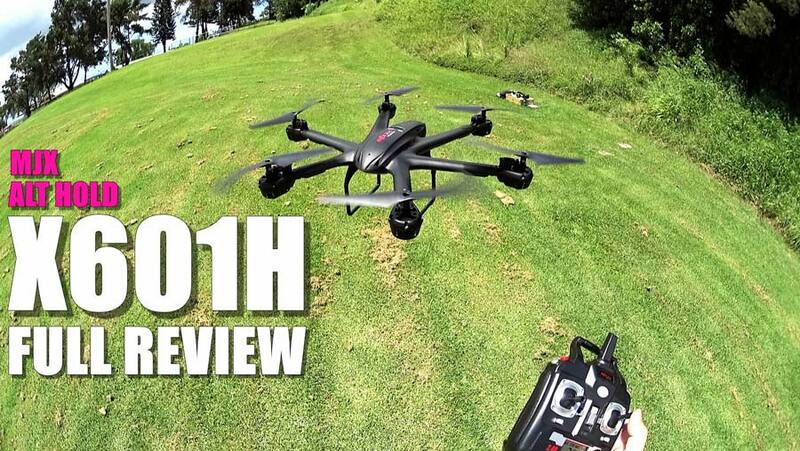 MJX X601H Review - powerful hexacopter with some cool features ! Hello fellow drone lovers! Here we are, once again, ready for another amazing review of a new product which has very recently hit the market! 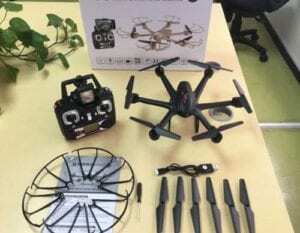 We are talking about the new MJX X601H, a high-quality toy hexacopter (six motors) with Altitude Holder and Autopilot! An amazing and powerful drone for a surprisingly affordable price. 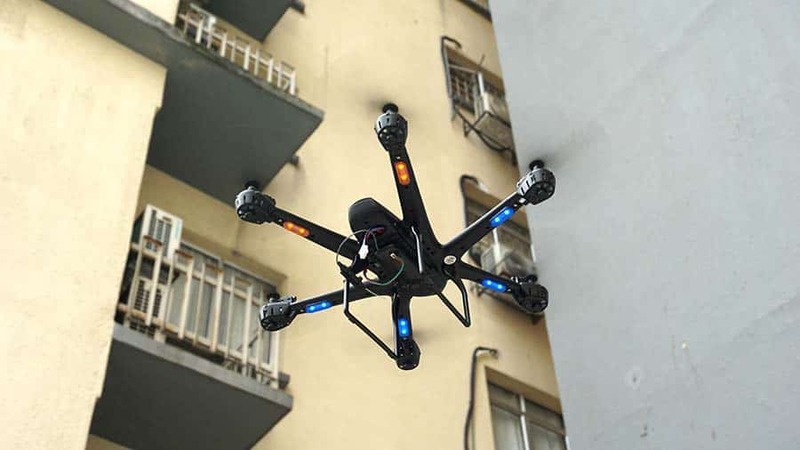 MJX X601H represents the start of a new feature rich toy drone era in 2016. Following the increase success of this unmanned aerial vehicles a great number of drone manufacturers have enhanced their products with better features and specifications at a lower price. This being said, let us move on to our MJX X601H review! First of all, it is important to mention the two different ways you can control MJX X601H. Number one, via the (included) 2.4 Ghz remote controller or, secondly, with your smartphone via a free application available for both Android and iOS. This app allows real time video transmission via WiFi. 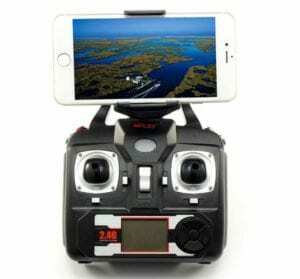 On the remote controller there is a phone holder on which you can place your smartphone, so that you can fly the hexacopter while watching the live video with no hassle. If you prefer you can just use the smartphone as a standalone device for both flying and watching FPV. The control distance however is slightly below average, just 70 meters. On the other hand, the key-factor of MJX X601H are the features, therefore it is normal that the manufacturer had to cut on the specifications. Remember that MJX X601H is a highly feature rich affordable drone. If you are a beginner, or even a more expert drone pilot, you will notice that MJX X601H is particularly easy to control, it has a very stable hover (powered by 6 motors) and is extremely easy to control at low yaw rates. MJX X601H is an affordable hexacopter aimed at drone enthusiasts which prioritise features. It comes with a wide set of useful and fun features. The two uncommon features that stand out from the rest are Altitude Holder (the drone locks at a specific height, giving pilot more freedom to focus on the video while the drone maintains altitude by itself). Altitude Holder is a very uncommon feature for drones within this price range. However, the golden feature of MJX X601H is, without a doubt, the autopilot function. Probably the first under 100$ drone to feature a fully working type of autopilot system. Obviously, it is not a GPS assisted autopilot, has the one of higher-budget drones. It is however, a very useful and entertaining feature included in the phone application (previously mentioned). Access this function by drawing a flight plan route on the phone’s screen and the MJX X601H hexacopter will follow afterwards without pilot’s input. This being said, if you are a drone enthusiast looking for a fun and affordable autopilot drone experience, it currently doesn’t get more affordable than this! Besides this two awesome features, MJX X601H also includes Headless Mode (easier orientation despite where the front of the drone is pointing at) and One Key Return (drone returns to pilot). It also comes with LED lights for night flights. 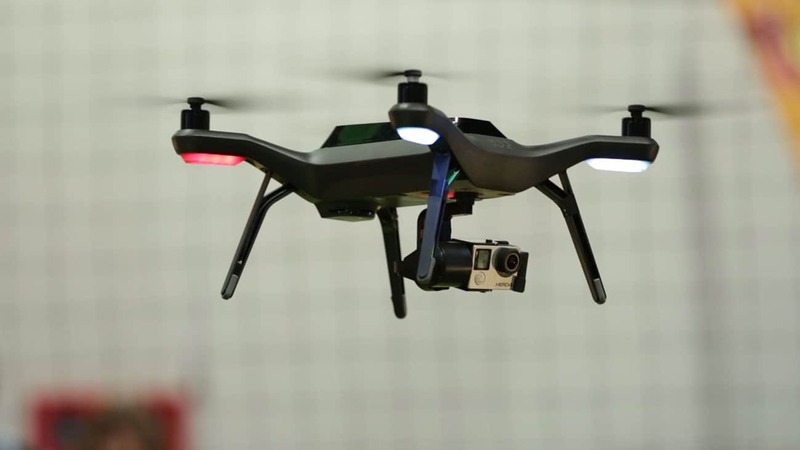 As mentioned at the beginning of this review, this drone is FPV (First Person View) ready. It comes with its own 0.3MP camera (average image quality), which is capable of taking photographs and record video as well as transmit real time video via WiFI to your phone’s screen. The video transmission does have some latency, and is not accurately “real time”. But keep in mind that the aim of this drone is ease of use and features. MJX X601H is powered by a 3.7V 700mAh Battery which provides around 8 minutes of flight time (even when using camera and FPV). 8 minutes is the average flight time for drones within this price range. Battery takes around 3 hours to complete a full charge and can be charged via USB (plug it directly into your computer for example). Don’t forget that you can always purchase an extra battery to enjoy the most of this hexacopter. Keep in mind that you should let the motors cool off during battery switches to make sure the motors don’t burn out. Six motors is a lot of power. What did you think of our MJX X601H review? This is a very recent drone, and most likely you haven’t heard of it before, tell us what you think of it. Personally, I think it represents one of the best value for your money currently in the market. It packs awesome features, a complete FPV package with all you need to fly right out of the box (if you have a smartphone already), has a decent flight time and is a great fit for beginners. Leave a comment below and bookmark our page for more reviews! Have a great day and happy flying! Syma X8HW – new generation of “poor man’s Phantom” is here. What’s new? 1. With all the bells and whistles this has, would it be appropriate to buy for someone who is learning? I'm thinking specifically about the altitude hold feature. 2. Though I know it would be silly to, would this lift/carry an action camera? 3. Though I know this is a toy, how easy would this be to repair or upgrade? The person I'm thinking about purchasing this for tinkers with everything they own.